Are there specific rules for stressing syllables in English? How do you know where is the stress? Reduced vowels? Could you explain this for me? How can I guess where it occurs? What a great question. Especially because many people are probably wondering exactly the same thing. I mean, in English we don't have any accents like in Spanish for example. So, how do we know when to stress syllables? I'm going to be honest with you Marzouq I can't provide you with an original answer. BUT I can direct you to a great page from www.englishclub.com where they explain syllables. Visit EnglishClub now and then come back for the rest of my answer. You are back! Did that make sense? I hope that you understand syllables a bit better now. To answer your second question, regarding reduced vowels I'm not quite sure what you mean? Are you talking about different words and how some people pronounce them differently? Could you give me some examples to help narrow down your question. I'm sorry Marzouq, I haven't helped you very much. BUT if you send me more information with more detail (in a comment below) I would be more than happy to help you! I look forward to your comment and more information so that I can help you better. 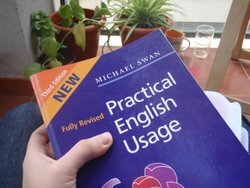 I can honestly say that this grammar reference guide is the best I have ever used and I use it daily answering all of your grammar questions. Stress two syllable nouns and adjectives on the first syllable. Verbs may be stressed on the first or second depending on whether or not it begins with a Latin prefix or not.Stress the root, not the prefix. For words of three or more syllables, the suffix, (word ending) will tell you where to stress. Reduce the vowels that fall on the unstressed syllables. Use the schwa or /I/. Try my accent Reduction Course in mp3 -"Best Accent Training" for a full explanation and practice. When we pronounce a vowel separately, we give it the original pronunciation. But if it is pronounced in a sentence it will be reduced from a long sound to a short one. I hope this will give a clear idea about my question. My sincere thanks for your efforts.